※1. If your group does not have enough adults to meet supervision requirements, you can pay for instructors to accompany your children through the course. ※2. The guide fee is additional to the participation price. ※3. Prior booking is required. Adult must still supervise from the ground. This is a new activity, which opened in 2014. It is a survival game, that uses lasers instead of projectiles. Up to 18 people can do laser-tag together, and it is especially recommended for large groups. 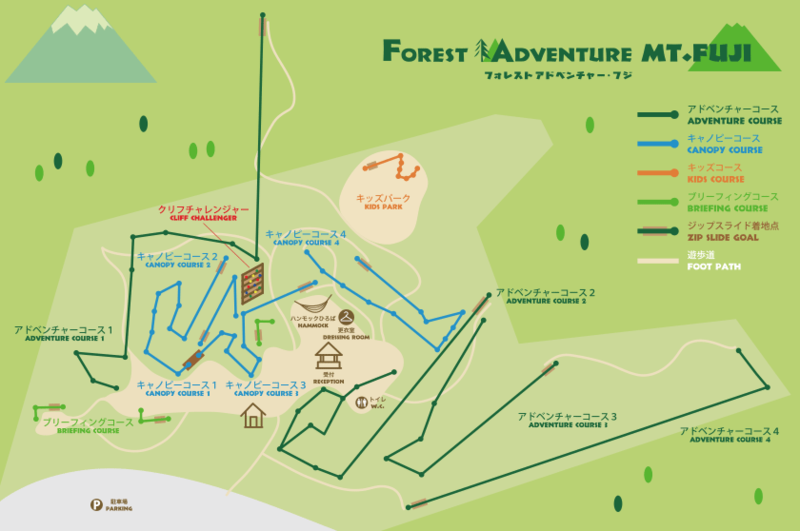 Because the park sits at an altitude of 1100m, it is usually 5-7 degrees colder than the Tokyo area. This means that in the summer, the temperature is mild and comfortable. But when it rains, it can feel quite cold, so it is a good idea to bring warm clothing. Check our Twitter account, every morning we will tweet a weather update! 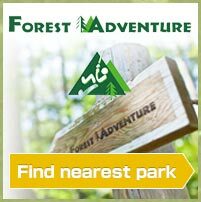 This website has the basic information, but if you want to know more detail Forest Adventure Mt. Fuji has a blog, Facebook page and Twitter account.